Dr Erin Kefford graduated from the University of Sydney in 2007. After graduating, Dr Erin worked at a variety of veterinary clinics in the area, where she gained a massive amount of experience in not only general practice, but also emergency work and held some key leadership roles. Dr Erin always dreamed of opening her own clinic so when the opportunity became available to take over management of Riverstone Veterinary Hospital she jumped at it!!!! Not only can she now fulfill her dream of ensuring that all fur-babies in the local vicinity are cared for at the highest of standards, but she can also ensure that clients are given the time they deserve. Her bubbly personality, and exceptional ability to teach and explain, is a favourite among her clients. Dr Erin and Dr Prue have been working together for over ten years and you will see they make a formidable team, showing kindness and compassion to all that enter their clinic. Prue always wanted to be a vet and was excited to qualify from the University of Sydney in 2009. Prue is recognized for her gentle, kind nature and willingness to always giving her patients the highest level of attention and care. She has a great love for all animals and all species and this shines through in her work. Prue is married with two young children, and has two rescue dogs that fit out the rest of the family. She works part time at Riverstone Veterinary Hospital on Thursdays and Fridays. Dana obtained her Certificate 4 in Veterinary Nursing and is now currently furthering her knowledge and studies by completing her Diploma of Veterinary Nursing (General Practice). Dana is well known for building meaningful relationships with clients and their pets, so that she can tailor the care in hospital to their individual needs. She strives to ensure that clients leave feeling well informed, and reassured their pets have been cared for to the highest standard. Dana has one dog, a whippet named Moose, who she loves taking to the beach so that he can do “zoomies”. Mel has been an animal lover her whole life. She has worked in the veterinary industry since 2012, and received her ​Certificate 4 in veterinary nursing in 2015. Mel joined the team at Riverstone Vet Hospital so she could continue in her passion to help sick animals get better, and make a difference to their lives. She enjoys furthering her knowledge to provide her patients with the highest level of care, and has proven herself an invaluable asset to the team. Gabi always had the ambition to work as a veterinary nurse since she was very young. So it was a dream come true for her when she achieved that goal. She has very high standards of care and her fine attention to detail means animals under her care get treated like they would if they were her own pets. She grew up on a farm around many different species of animals, and now owns a cheeky spoilt rotten cat called Kaboodle. Kirsten King runs her own dog training business called pup2dog. It has always been a passion of hers to understand dog behavior such that she has spent a great deal of time studying the course of Dog Behaviour and Training. 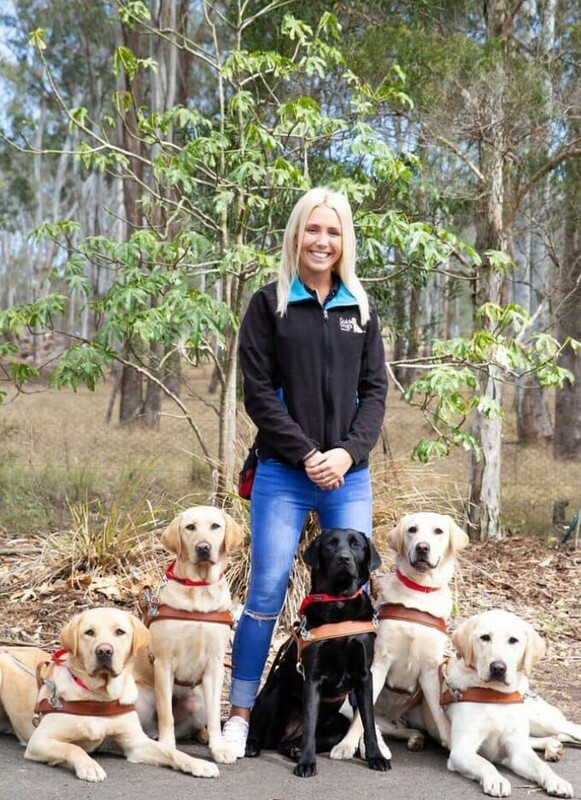 NSW Guide Dogs recognized Kirsten’s passion and talent and hired her to train their seeing eye dogs which she has now been doing for four years. She is now keen to help dog owners in the local area, with interactive classes, fun games and in-depth information​. People attending her classes with their pets are always left impressed. Kirsten is running puppy school classes, adolescent, adult and one on on training classes. Please call the clinic to secure your place! !